Alpský hotel ***+ enchants visitors with its unique atmosphere and style reminiscent of typical mountain hotels in Austria. Its great advantage is the easy availability of the sports of ski resort Svaty Petr, which is just a 5-minute walk from the hotel. 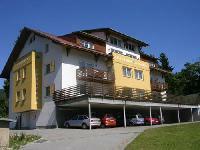 Newly built apartment house is situated on the Elbe stunning location right on the ski slope in the Elbe and offers 6 fully furnished apartments with living room with fireplace and bar for 32 people. 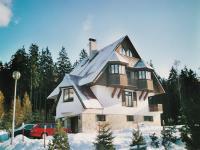 WE OFFER A PRIVATE ACCOMODATION, VERY CLOSE TO THE FOREST, IN A QUITE PART OF TOWN CALLED ROKYTNICE NAD JIZEROU WHERE THERE IS NO TRAFFIC. 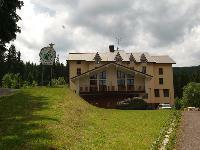 Located in the Krkonoše National Park, 3 km from the town of Černý Důl and 5 km from Pec pod Sněžkou, Cihlařka offers a restaurant, a fitness centre, a sauna, a hot tub, billiards and a children's corner. Free WiFi is available in the restaurant. 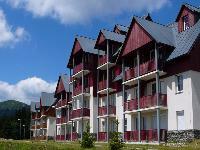 Apartments penzion EDDY is situated among mountains of Krkonoše and Jizerske hory in quiet part of Rokytnice nad Jizerou. 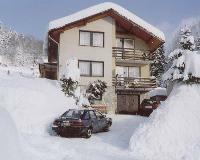 Right in the center of winter resort, we offer two duplex and a single-level apartment. 1 two-floor apartments - Suite 2/2 for 4 people (+ additional bed) and 1 apartment 1/4 for 4 people. We offer to you accomodation in luxourios modern fourbed apartment. Extent of these apartments is 32 m2. The mountain is located in the heart of the Sentinel trails and is located about 200 meters downhill from the ski lifts. We offer accommodation in two and three bedroom luxuriously furnished apartments in the family house, approximately 400 m from the ski area Lysa hora. 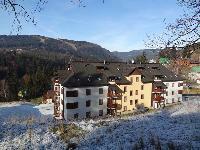 The apartment is situated 5 minutes walk from the center of Harrachov. Discover the beauty of the Krkonoše Mountains. Modern furnished apartment Mape for 5-7 people is very suitable accomodation for families with children or smaller groups. 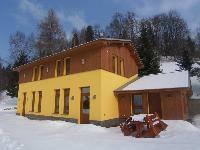 The apartment is located only 350m from the substation to the funicular to Medvědín and the Aquapark. 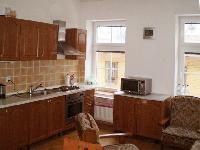 We would like to offer You an accommodation in apartment and 2–4 beds rooms. 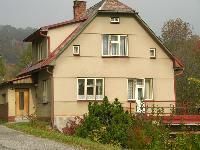 This private accommodation and its own pub are located in the upper part of Rokytnice nad Jizerou. Appartements ROKYTNO 20 bieten Ihnen eine neue, über Standart liegende Unterkunft in Rokytnice nad Jizerou.